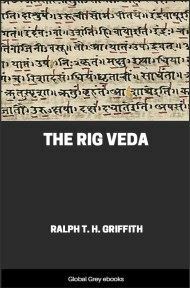 The Rigveda is an ancient Indian sacred collection of Vedic Sanskrit hymns. 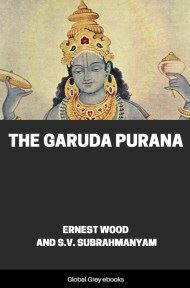 It is counted among the four canonical sacred texts of Hinduism known as the Vedas. 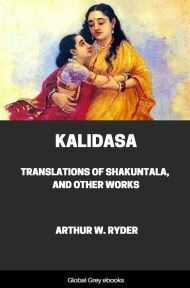 Some of its verses are still recited as Hindu prayers, at religious functions and other occasions, putting these among the world's oldest religious texts in continued use. 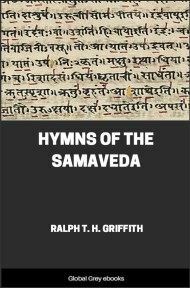 The Rigveda contains several mythological and poetical accounts of the origin of the world, hymns praising the gods, and ancient prayers for life, prosperity, etc. 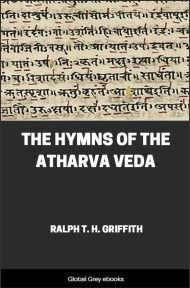 That, Aṅgiras, is indeed thy truth. Thee, Vāyu, with their hymns of praise. 5 Well do ye mark libations, ye Vāyu and Indra, rich in spoil! Accept our songs with mighty thought. Come ye whose paths are red with flame. Thus by fine fingers purified. 6 Approach, O Indra, hasting thee, Lord of Bay Horses, to the prayers. In our libation take delight.